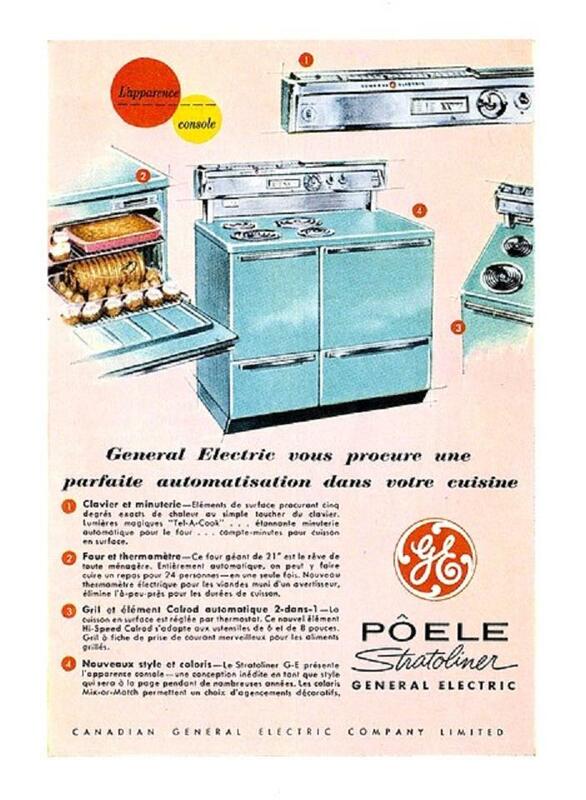 That is an amazing stove from General Electric. 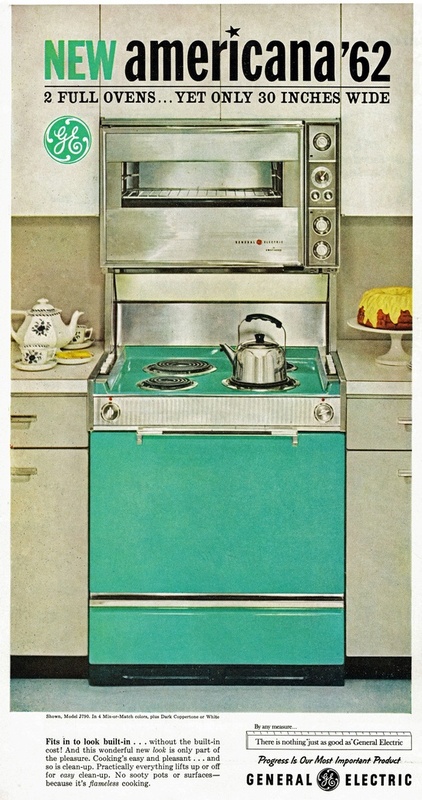 A stunning turquoise "New Americana 1962" stove. 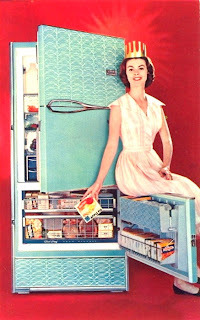 Now how about a 1959 Frigidaire refrigerator... also in turquoise. My goodness. 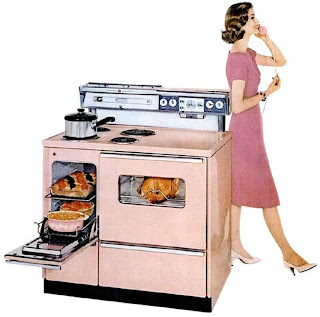 What amazing appliances. Add to it a nice set of steel cabinets... and you would have a glorious kitchen packed full of all kinds of color. 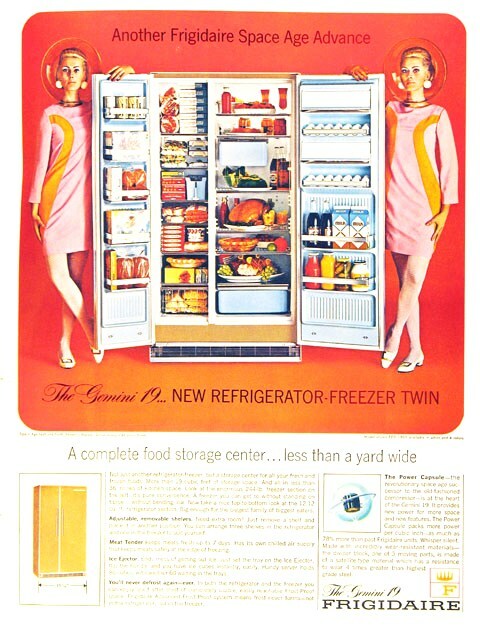 While roaming around looking at all the wonderful vintage advertisements in Pinterest ... I kept coming across these cutting edge electric range/stoves from the early 1960's. And they are just so pretty to look at! 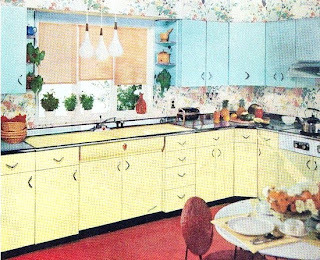 Next up Frigidaire Flair in yellow! These are all really smart and well designed appliances. And I would love it if there was so much color, offer now for home appliances. Instead it is either white, black or stainless steel. And I am not impressed with those 3 plain choices. At all. This is a Tappan "Fabulous 400 " range ... built very similar to the ones above. But in a really great bold turquoise color! Surrounded by turquoise steel cabinets. How perfect. Then this one I have shown before... in lilac... still as lovely as ever. 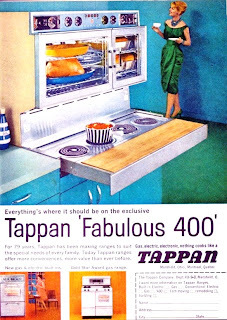 But if I had my ultimate choice for a new stove.... 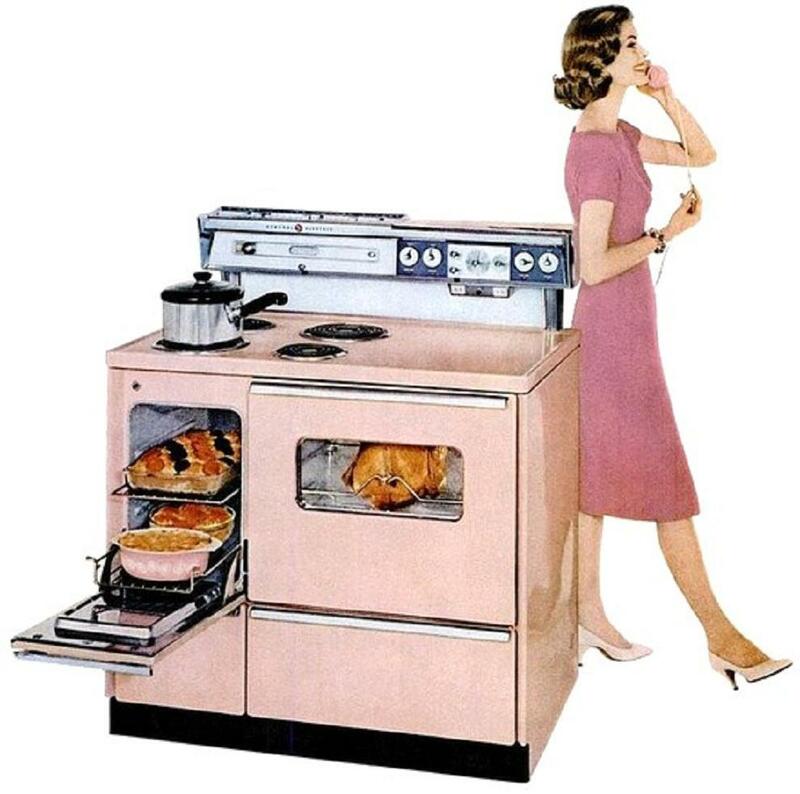 I still want this one by General Electric in pink. 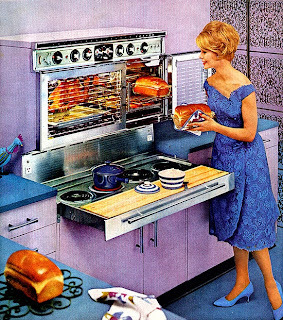 My husbands grandma still has her Frigidair Flair oven. 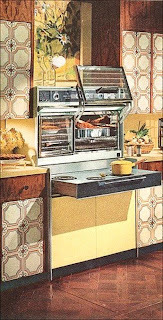 They have moved several times over the years and the oven ALWAYS goes with them. 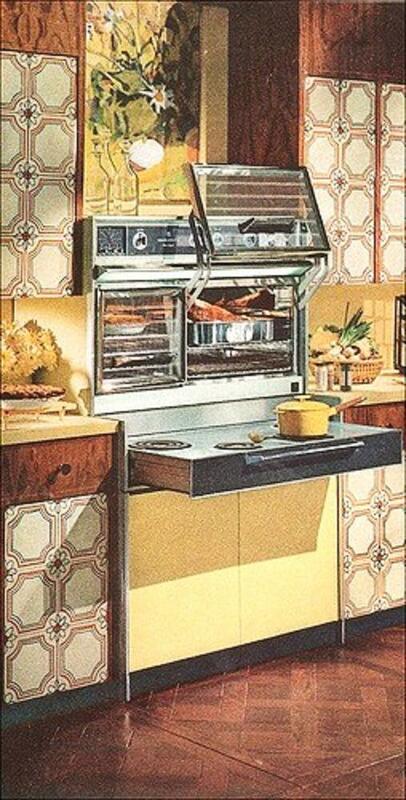 They have even had kitchens remodeled around the oven. It is white but still amazing looking. 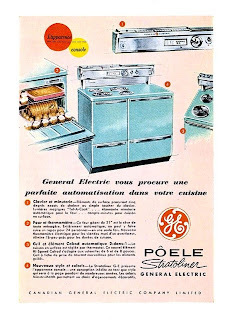 I can understand the love for a vintage appliance. Hello! 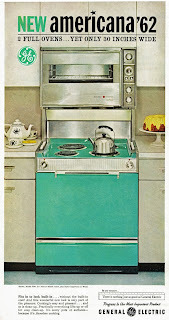 I share your love of the vintage stoves - and, guess what? I have that pink one! Check it out here: http://bit.ly/thestoryofmyhotdate. 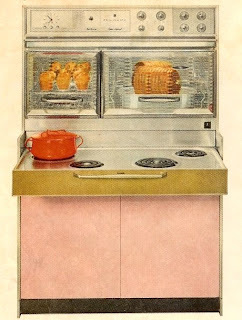 I'm curious where you found that awesome pic of the pink stove? And could I use it?